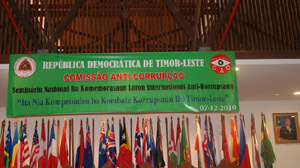 Iha tinan 2009 Parlamento Nasional aprova lei konaba Comissao Anti-Corrupcao. 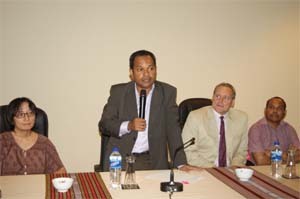 Hahalok ida ne’e hatudu sesiedade husi Governu Timor-Leste atu kombate korrupsaun iha rai doben ida ne’e. Tuir mai, Parlamentu Nasional eleitu Sr. Adérito de Jesus Soares (hare’e profile) iha loron 22 de Fevereiru 2010. Hafoin ne’e, Commisario Adérito nomea no fó kedas tomada de posse ba Commisario Adjunto nain rua: Sr. Manuel Countinho Bucar hanesan Comissario Adjunto ba Prevensaun, no Sr. José Neves hanesan Commisario Adjunto ba Edukasaun, Kampanha no Peskiza. CAC konsege remata rekrutamentu funsionario no investigador sira iha fulan Dezembru 2010 hodi funsiona sira nian servisu. Strutura CAC nian oras ne’e kompostu husi diresaun investigasaun; prevensaun; edukasaun, kampana no peskiza; no administrasaun finansas nebe’e xefía husi Secretario Ezekutivu (hare CAC nian Strutura). 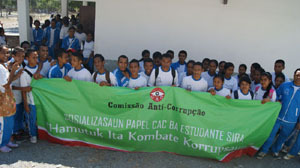 Iha inísiu Fevereiru 2011, CAC hahu halo investigasaun ba elegasoens balun konaba kasu korrupsaun, nomós halao hela atividade lubun ida iha aspeitu prevensaun no edukasaun no kampana. 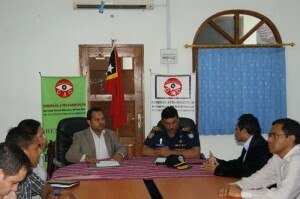 CAC mós halao ona atividade prevensaun no kampana iha distritu balun ho objetivu atu mobilize sosiedade Timorense nia partisipasaun iha esforsu kombate korrupsaun. Funsionario lubuk ida iha CAC mak partisipa ona iha formasaun balun hanesan iha aspeitu administrasaun, IT, investigasaun, no lian iha rai laran mós iha tasi-balun hanesan Hong Kong, Bangkok, Australia no Malaysia. Komisáriu Adérito Tilman moris loron 9 fulan Dezembru 1973 iha Bobonaro. Mr. Tilman graduadu husi Fakuldade Direitu Universitas Diponegoro (UNDIP) Semarang, Indonesia iha tinan 1999. Akaba kursu majistradu judisiariu iha Sentru Juridiku iha Lisboa, Portugal iha tinan 2003-2004, iha tinan 2005-2007 kursu judisiariu nian iha Sentru Treinamentu Judisiariu Caicoli Dili durante tinan ida ho balun. 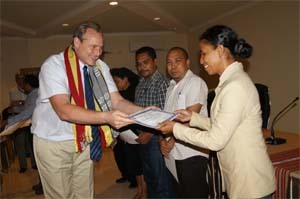 Komisáriu Adérito Tilman nian esperiensia professional; tinan 2000-2005 nudar Juiz Tribunal Distrital Dili nomeia husi Admonistrador UNTAET Sergio Vieira de Mello, Nomeadu ba Chefe Prokurador Republika Distrital Dili iha tinan 2006-2011, Transfere ba Chefe Prokurador Republika Distrital Baucau iha tinan 2011-2014. 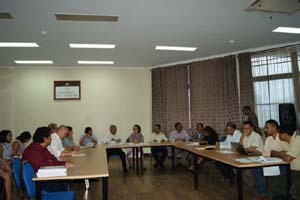 Dosente fakuldade direitu iha UNDIL no UNPAZ no tinan 2006-2009 sai membru board ba avaliasaun PNTL. 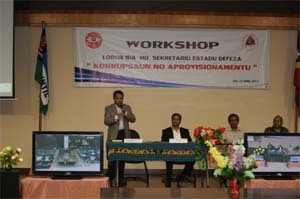 Komisáriu eleitu Adérito Tilman partisipa iha konferensia internasional barak kona-ba brakamentu kapitais, kirimina finanseiru no metodolojia investigasaun, krimi korrupsaun no aprovizionamentu publiku iha Australia, India, Korea do Sul, China no Indonesia. Nudar eis juiz no prokurador, Dr. Adérito Tilmán hanesan pesoal ida ideal hodi lori komisaun ba oin iha Segundu Mandatu, no kontinua ninian luta importante iha kontra korrupsaun. 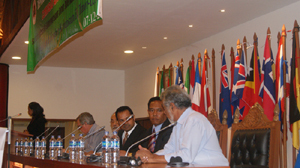 Mr. Manuel Coutinho Bucar Corte-Real is a respected Timorese academic. 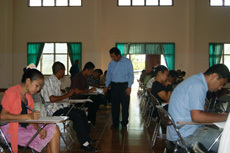 He was the dean of Faculty of Economic at the National University of Timor-Leste (UNTL) from 2001 to 2006. 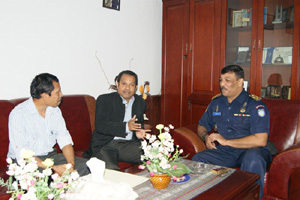 Mr. Bucar was also the Inspectorate General for the Timor-Leste Government from 2006 to 2007 as well as a former commissioner for the National Electoral Commission for the Chefi Suco election in 2006. During the Indonesian period Mr. Bucar was the Head of the Economic and Development Planning Commission of Ainaro District from 1996 to 1999. Mr. Bucar obtained an undergraduate degree in economics and development study from Udayana University in Bali, Indonesia in 1993; and a master degree in economics, marketing and public policy from the School of Economic and Management, Universidade do Minho, Braga Portugal in October 2009. 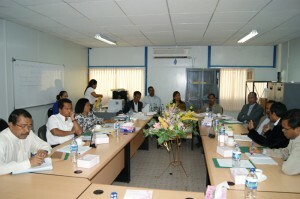 Mr. Bucar has participated in various international conferences such as the comparative study with ‘the Corrupt Practices Investigation Bureau Singapore’ from 16-21 of July 2007; regional workshop on ‘Integrity in Action: Establishing a Community of Practice’ in Phnom Penh, Cambodia from 24-26 of January 2006 and other international forums. 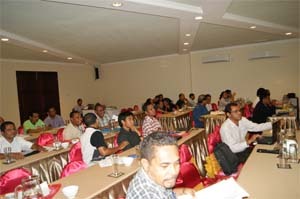 Mr. Neves was a longtime youth movement activist since the Indonesian period up to now. 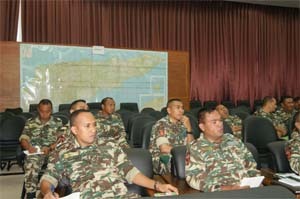 As the consequence of his clandestine activities, he was sent to jail by the Indonesian authority in Malang, East Java for almost three and half years from 1994 to 1997. Mr. Neves obtained a degree in Philosophy from Theological Philosophy College in Malang, East Java Indonesia and a master degree in Education and Development from the University of East Anglia, Norwich, UK in 2003. He was also a recipient of Australian Leadership Award in Melbourne in 2007 as well as a recipient of British Chevening Fellows for the course on ‘What makes democracy work’ at the University of Birmingham from January to April 2009. Since the referendum Mr. Neves has worked for both national and international organizations. 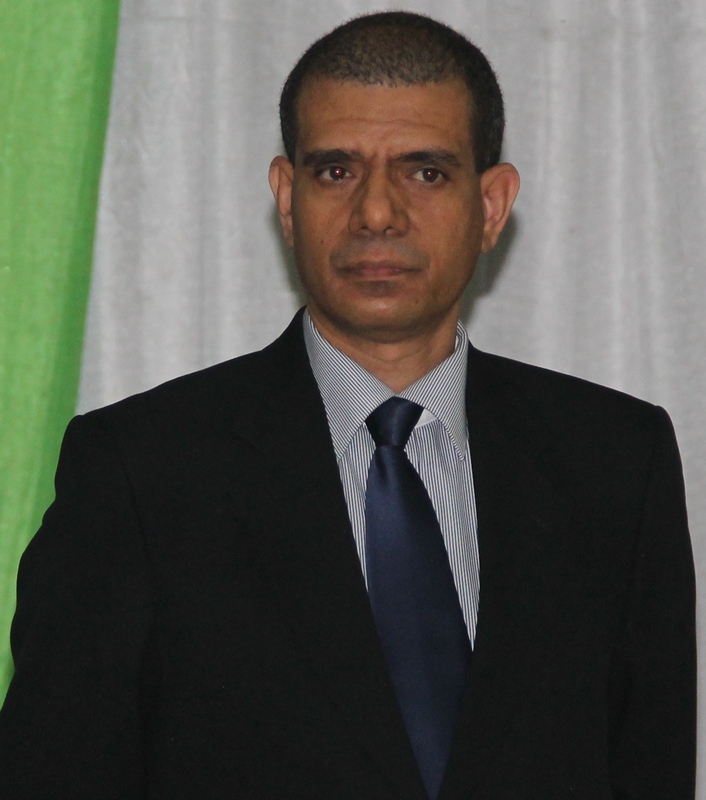 In 2001 Mr. Neves worked for the UNDP as the national consultant for the civic education project; He was also the Project manager of Leadership Capacity Building for Economic Development Project of the World Bank from 2004 to 2007; He assisted to write CAVRs’ report on arrest and detention chapter from May to June 2004. He was a senior policy adviser to the Secretariat of State for Youth and Sport before joining CAC. 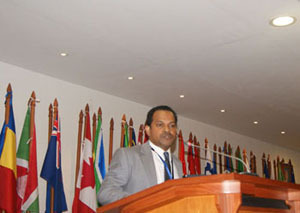 Mr. Neves has participated in various national and international forums on democracy, governance and education issue.